Adrian Clarke looks at the key tactical battles in Matchweek 23. Tottenham Hotspur have suffered an untimely striker crisis ahead of Sunday's visit to Fulham. Harry Kane has an ankle injury that will keep him sidelined until March, while Son Heung-min is on international duty with South Korea at the Asian Cup and Lucas Moura has a knee problem. So will Mauricio Pochettino pick Kane’s deputy Fernando Llorente as his starting striker, or could he choose Dele Alli to play in an experimental false nine role at the top of the pitch? It is a decision for the Argentinian manager to ponder ahead of kick-off. Llorente scored an impressive FA Cup hat-trick at Tranmere Rovers earlier this month so his confidence levels will be high. However, the 33-year-old has featured for just 36 Premier League minutes this season, leaving him lacking match sharpness at the top level. One of Fulham’s strengths may also hamper the case for Llorente. Remarkably, while they have shipped 49 goals already this season, only one of them has been a header. The 6ft 3in Spaniard is a menace in the air but Fulham have shown no fragility when dealing with high balls and crosses. While it is not enough reason to leave Llorente out, it is a point to consider. If recent home matches are an accurate gauge, Fulham will also allow Tottenham Hotspur to have the bulk of possession. Claudio Ranieri’s men only had a 29.8 per cent share when entertaining Wolverhampton Wanderers, and when Huddersfield Town were the visitors that figured only increased to 43.5 per cent. This means Spurs will need fast interchanges and quality movement to break the hosts down this weekend. 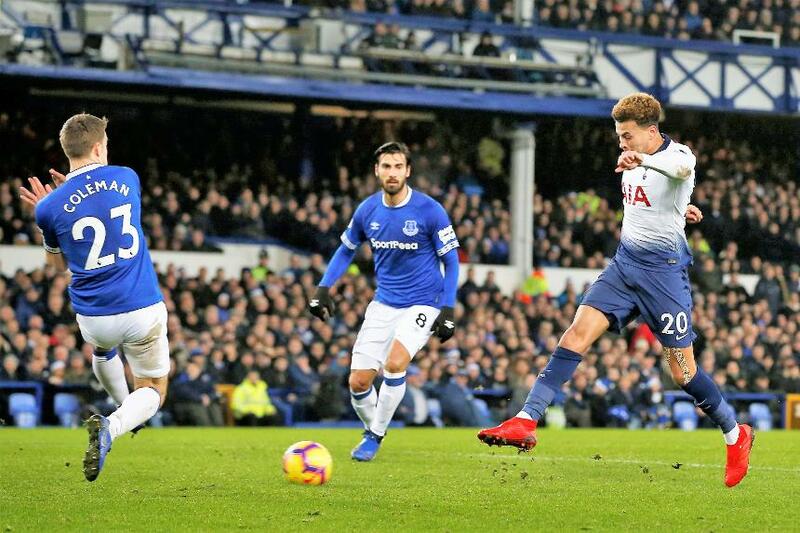 While Llorente’s movement is good, the superior speed and mobility of Alli might lean Spurs' manager towards a strategy built around the England international. Providing Christian Eriksen and Erik Lamela make intelligent runs around Alli, the trio will be able to hurt a side that has not tracked movement well all season. Alli has the technical, physical and mental capacity to shine as a centre-forward. He is tall, quick and hardworking, makes intelligent runs and is an extremely calm finisher. He is able to score in a variety of ways and Pochettino would want Alli on the receiving end of chances. Inside the final third, and more specifically the 18-yard box, he has consistently delivered goals and assists. Alli breaks into the opposition danger zone at will. In each of the last three campaigns, including this one, he has been ranked third behind Kane and Son for having the most touches inside the box. So in many respects, playing as a false nine would not be a major departure for him. If Pochettino has any inclination to try him in this role, the visit to Fulham feels like an ideal moment to do it.